Pope Francis has this evening appointed Fr Charles Gauci, currently administrator of St Francis Xavier’s Cathedral in Adelaide, the seventh Bishop of Darwin. 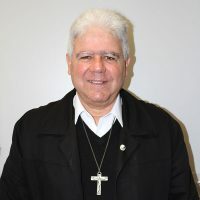 Australian Catholic Bishops Conference president Archbishop Mark Coleridge welcomed the appointment of a man who is known for his deep spirituality and real commitment to evangelisation. This entry was posted in Bishops, Pope Francis, Press Releases on June 27, 2018 by ACBC Communications.